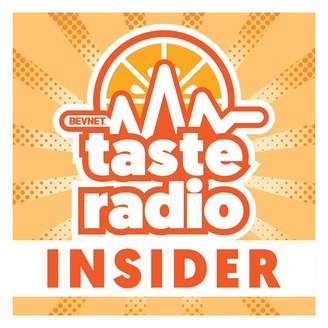 Taste Radio Insider, a new podcast focused on news, trends and innovation in business of food and beverage. 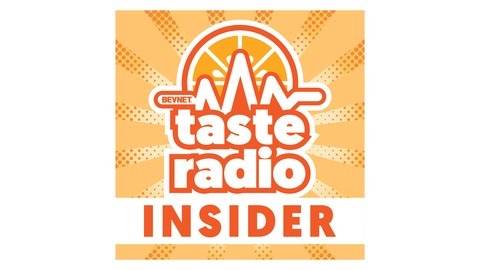 Taste Radio Insider will feature interviews with the industry’s movers and shakers and feature discussion on emerging trends, innovation and news of the week from our regular cadre of hosts from the BevNET and NOSH teams. August Vega is a “go big or go home” kind of entrepreneur. The founder and CEO of MALK, a super-premium brand of organic nut milks, Vega cut her teeth in the beverage business selling her wares at farmers markets in Houston. From the outset, Vega had lofty ambitions: she wanted to develop MALK into a billion-dollar brand. Since launching the brand in 2014, Vega has maintained that focus and made strides toward her goal. MALK is sold nationally at Whole Foods and carried at a variety of mainstream grocers and mass retailers, including HEB and Target. In an interview included in this episode, Vega spoke about the origins of MALK and why she envisioned it as a billion-dollar brand from the outset. She also explained why data has been critical to the company’s development and the variety of ways it sources sales information and consumer feedback. Vega also discussed how MALK considers innovation and investment and talked about how she navigated the company through a particularly challenging period. 1:09: Steeped in Specialty Coffee -- The hosts kicked off the episode with a discussion about innovative and interesting coffee brands featured at the recently held Specialty Coffee Association Expo. Among notable brands viewed at the annual trade show, hosted in Boston from April 11-14, were Steeped, a maker of bagged coffee grounds, and Elemental Beverage Co., a manufacturer of commercial appliances that chill fresh-brewed coffee in 60 seconds. The hosts also chatted about the latest issue of BevNET Magazine, which includes feature articles on the premium water category, powder beverages and craft beer as well as a comprehensive listing of functional beverages marketed in the U.S.
14:59: Interview: August Vega, Founder/CEO, MALK -- Recorded at Natural Products Expo West 2019, Vega spoke about the coincidental ties between MALK and a fictional brand featured in “The Simpsons” and how dairy allergies in her family and dissatisfaction with nut milk brands led her to create MALK. She also explained why MALK doesn’t use the word “milk” on packaging or marketing, why data drives much of its business and innovation strategy and why Boulder Food Group is the right investment partner for the company. Later, she discussed the controversy surrounding MALK’s use of high pressure processing as a safety step and how she addressed concerns about the products, and what she views at the near future for the brand. Ep. 27: Is Bend The New Boulder?